How to Replace a Missing Birth Certificate? One of the most important documents that you will ever receive is your birth certificate. Not only is it an easy way to prove that you are who you say you are, but it is also often required to prove that you were born where and when you said you were. As a result, your birth certificate is required for a large number of essential activities like applying for a visa or passport for the purposes of traveling. If you’ve lost this document and have an important business or personal trip on the horizon, there are a few key steps that you’ll need to take. Get Your Birth Certificate Today! If you’re planning on obtaining a new copy of your birth certificate over the Internet, you can do so by navigating your Web browser to the website of the State Department and looking for the Vital Records page. Once there, click on “Birth Certificates” and fill out the associated application. You will be able to submit the form on the Internet, pay the fee with a credit card and wait patiently until a new copy of your birth certificate arrives in the mail. If you don’t want to replace a missing birth certificate on the Internet and would instead like to do so via the United States Postal Service, you can still download the application from the Vital Records website. Once you have filled out all of the required information, write a check for the appropriate amount and mail the payment and the completed application to the address listed on the form. 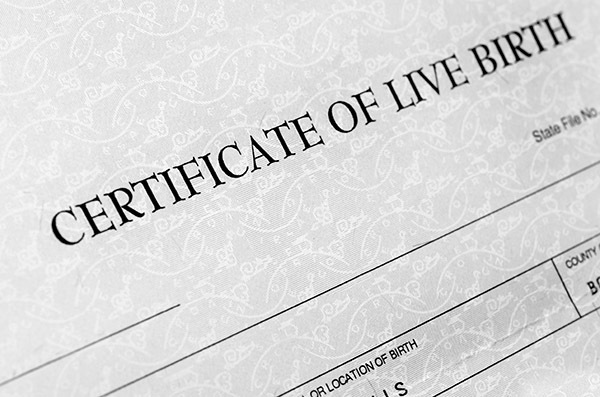 The processing time for replacing a missing birth certificate varies. It can take anywhere from two days to several weeks to receive your copy through the mail. Replacing online can see a new copy of your birth certificate arrived in the form of a document that you can print out in minutes, which is why it is always recommended that you do so through that avenue.